Throughout history, it has been tradition for mothers to pass down wisdom and life experiences to their daughters in hopes of being a successful wife and mother; information that was most likely passed down to her by her mother years before. It has been this way since the dawn of mankind—mothers are the experts, and daughters, the apprentices. Fast forward to 2016. With more women in the workplace than ever before, and a comparatively paltry number of women rising to senior or executive positions, the infamous glass ceiling seems to be throwing us yet another curveball: Who do women have to look up to when they want to learn new skills to advance their career? New research shows that women still lack sufficient confidence and assertiveness in the workplace, even if they are just as prepared as their male counterparts, and despite being strong-willed and vocal outside of work. This same research found that, when a handful of high-ranking female employees were polled about their road to success, each one credits a good mentor as an indispensable tool. The kicker? Because of lack of confidence, many women are afraid to ask to be mentees, even when an overwhelming majority of potential women mentors would gladly accept. As a rule, females don’t necessarily need female mentors. On the contrary, men have mentored some of the most successful women in modern history, like Condoleezza Rice or Sheryl Sandberg. However, many female employees have commented that they’ve had to work twice as hard just to prove themselves of equal worthiness to men (for women of color, this phenomenon is magnified). Male executives also hesitate when it comes to mentoring younger women for fear that it will appear as though both parties are crossing the line from professional to unprofessional. There are many tactics companies can employ to mitigate this issue, such as meeting in public or involving significant others, which could lead to more women being chosen as powerful protégés without stigma. Many of our colleagues have looked up to many successful individuals, both male and female. We have been lucky to know many strong, intelligent, career-driven women who are breaking all sorts of boundaries and have given excellent tips on how to be successful in many facets of the career marketplace. 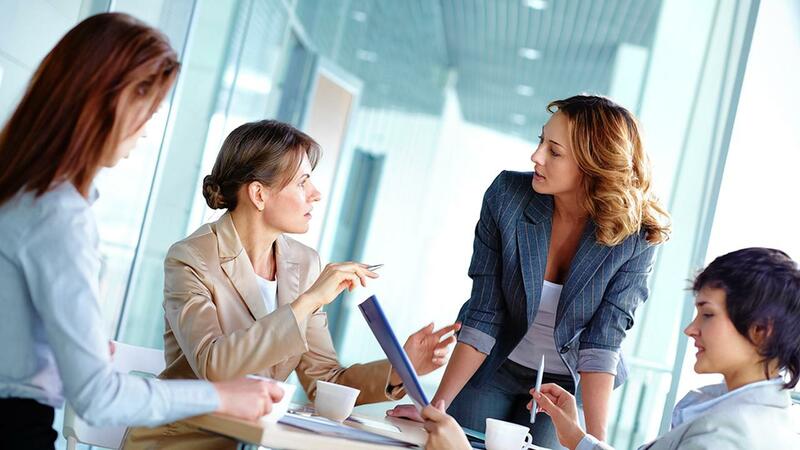 Female security executives: did YOU have a mentor? Tell us about them and how they’ve influenced you in your career.